There have been loads of questions asked on how to register a sole proprietorship company in India. 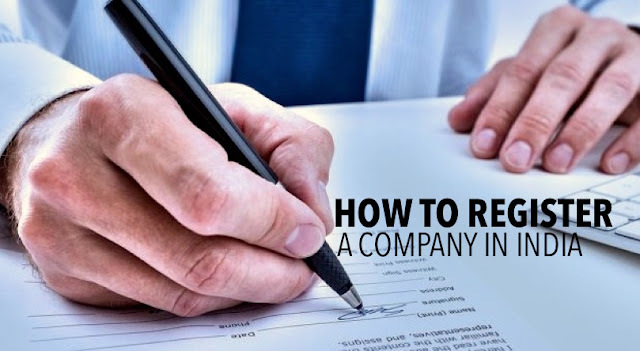 This article seeks to be your one-stop guide on how to go about registering your sole proprietor company in India. But first, let’s start by understanding what sole proprietorship is all about and what it has to offer. First, Sole Proprietorship is an easier form of business to set up; it has far less legal hurdles to surmount and is relatively easy to handle its day to day operations. The sole proprietor company and the owner (proprietor) are regarded as a single legal entity in India, unlike, say a Private Limited Company or a Public Limited Company. The sole proprietor is taxed as a single individual. This significantly cuts down on the hassles as you only have to file a personal income tax for one person. As a sole proprietor, you and your Company are the same. You can even operate right from the comfort of your home, and for that, there is no need for special registration. But if in future there is a need for expansion and you have to set up a commercial office or store, you will have to fill out the necessary paperwork at your local municipal corporation. You will also have to check up with Shops and Establishment Act. Now let’s take a plunge into the details of Sole Proprietorship, how to register a sole proprietorship company in India, the cost implication of setting your brand online taxation in sole proprietorship as well as the business licenses you would need. You could easily register your e-commerce business under the sole proprietorship category at your nearest municipal corporation office. You would have to fill and submit the Shops and Establishment Form to complete your registration. You would also be required to submit an undertaking. The registration fee varies depending on the state and the municipal corporation area. You can get a list of the municipal corporation area offices in your city on the municipal corporation’s website. Take note that during the registration process, you will be required to submit a proof of your address to Shops and Establishment. You may also be required to submit proof of your home address or the address of wherever you want to operate from. There is absolutely NO extra cost involved. All that you would need is a current account opened in the name of your business in any bank of your choice. It’s as simple as that! So all you need to do is to walk into any local bank branch of your choice and request for the form for proprietorship companies and get a bank account for all your financial transactions. A separate PAN is NOT required for taxation for your business. Your personal PAN is enough. And when filing your income tax returns as a sole proprietor, you will fill it in your name. Also, because you and your sole proprietorship firm are legally the same entity, you do not have to pay corporate taxes. In Sole Proprietorship, all profits, losses, liabilities and assets are subjected to the personal tax rate. Service tax applies only if you are offering a service to your customers. If you are selling goods, then VAT, Excise and / Sales tax are applicable. And all these taxes are only applicable if you have an annual turnover of more than twenty lacs. You may have to consider professional tax if you would be employing other people. Depending on the nature of your sole proprietorship, you may require different types of licenses and registrations. This is strongly recommended. This registration is very necessary if you intend to set up a physical shop and plan to employ other people. It is also necessary for setting up your personal payment gateway on your online store. VAT or CST would be required if you would be selling goods. It becomes applicable if your turnover exceeds five lacs per annum. This is compulsory and becomes a requirement if your annual turnover is more than 20 lacs. This type of tax is necessary even if it is only one employee you have. Each state has own guidelines. So you would have to find out if it is necessary for you to register for professional tax in your state. All these licenses and registrations may vary from state to state, so you may have to check up the guidelines and guidelines for your state. But before you set up your online shop as a sole proprietor, ensure you have a catchy business name and get it trademarked. Make sure it is not a generic name. Now, you know all you need to about how to register a sole proprietorship company in India. What are you waiting for? Go set up one ASAP!